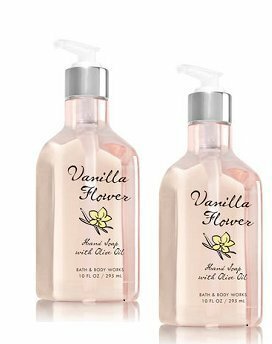 Vanilla Flower: rich blend of vanilla orchid, almond flower & comforting sandalwood. Specially formulated with rich, conditioning Olive Oil, our luxury hand soap nourishes skin and leaves your hands feeling soft, smooth and lightly scented. Beautiful bottle adds a touch of décor at your sink.